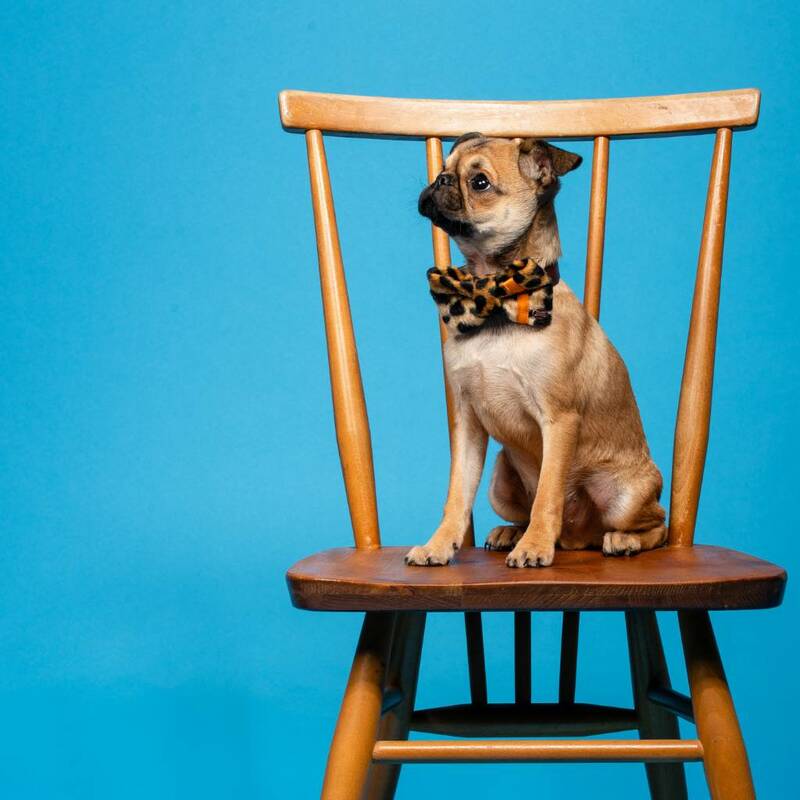 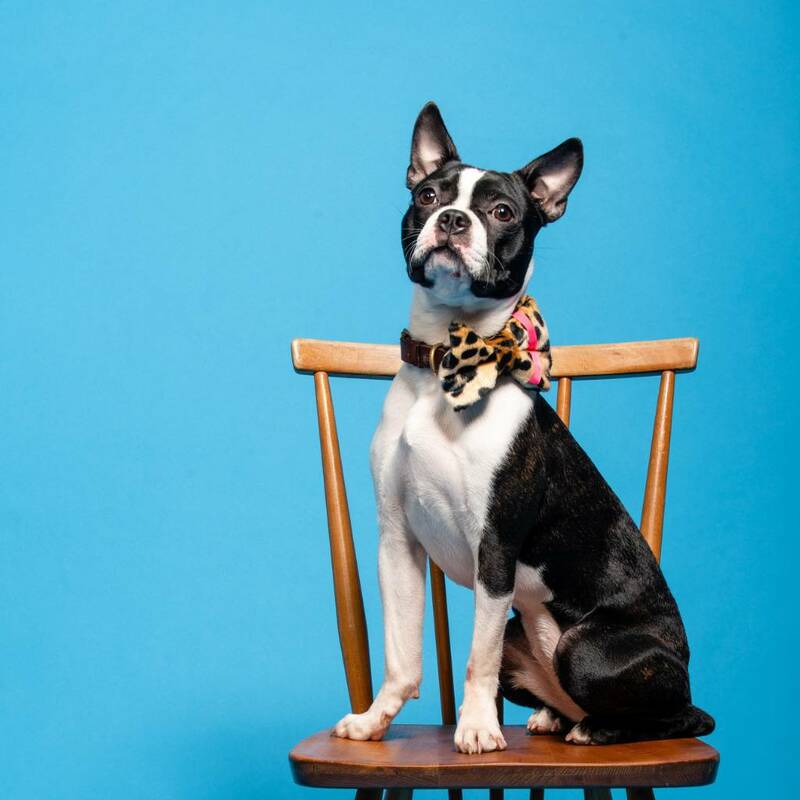 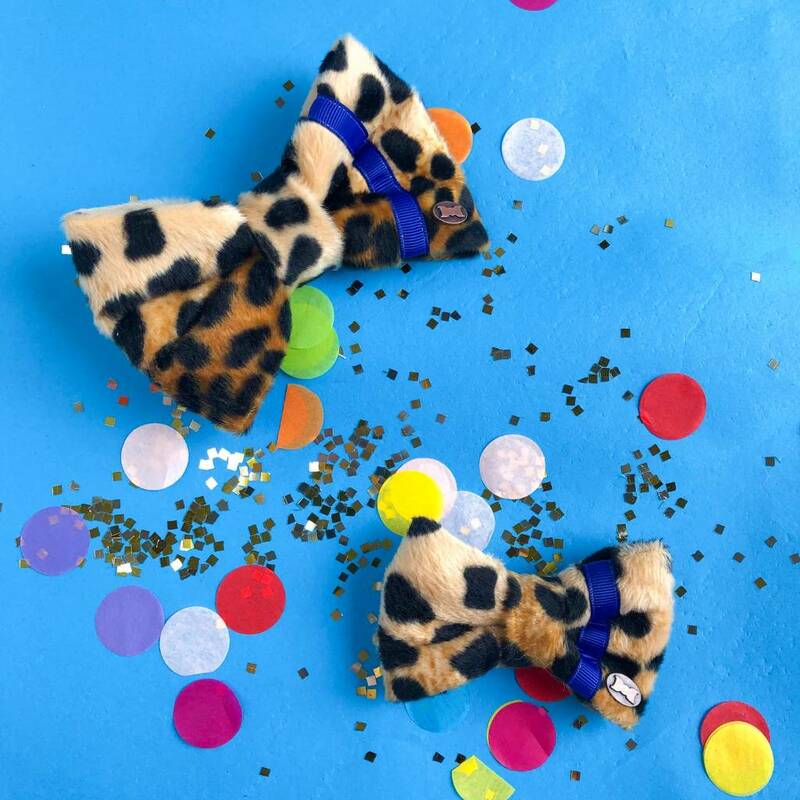 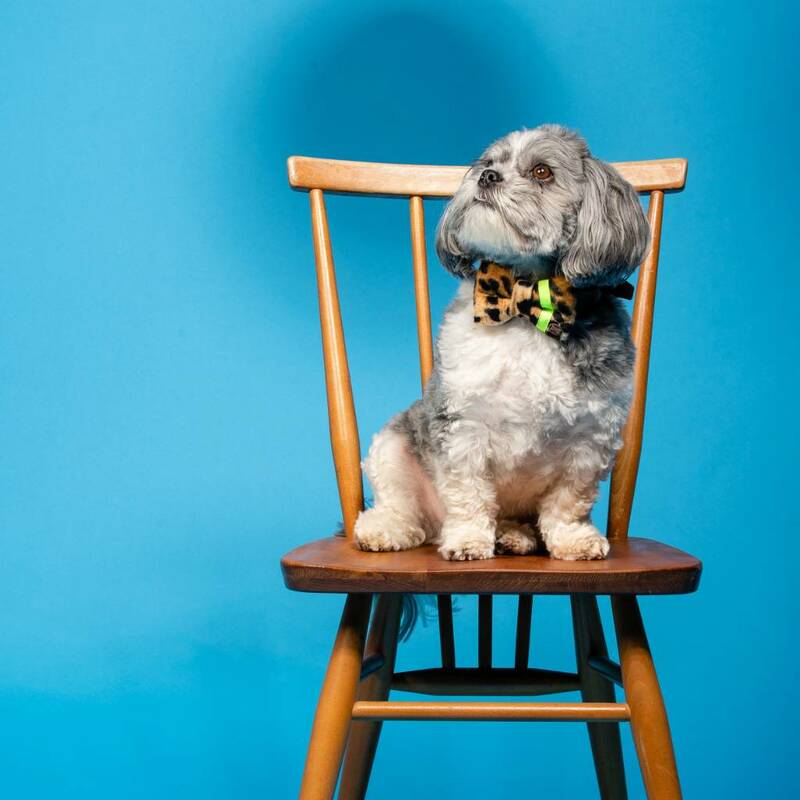 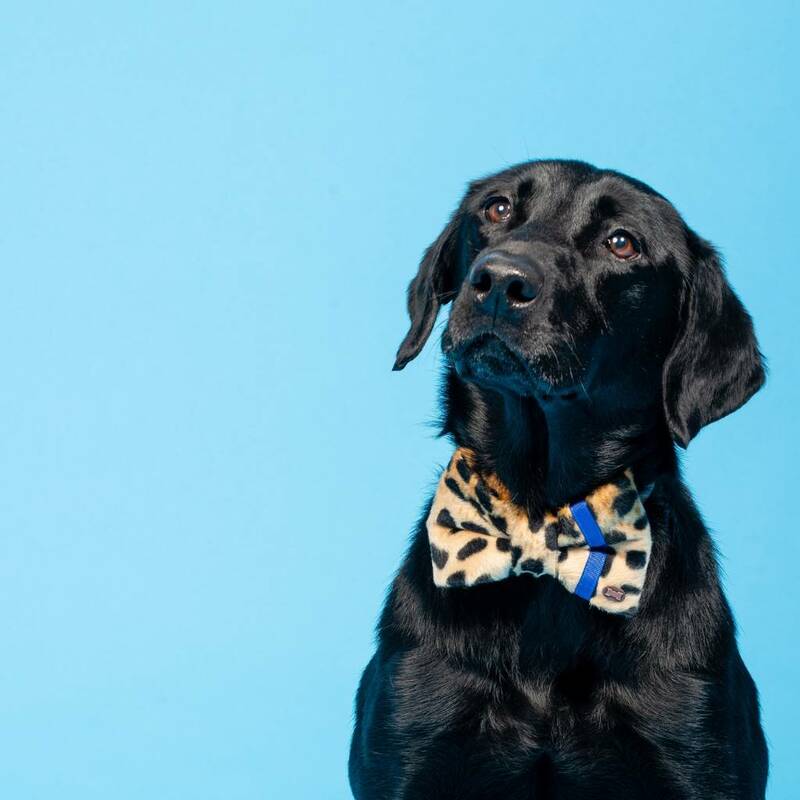 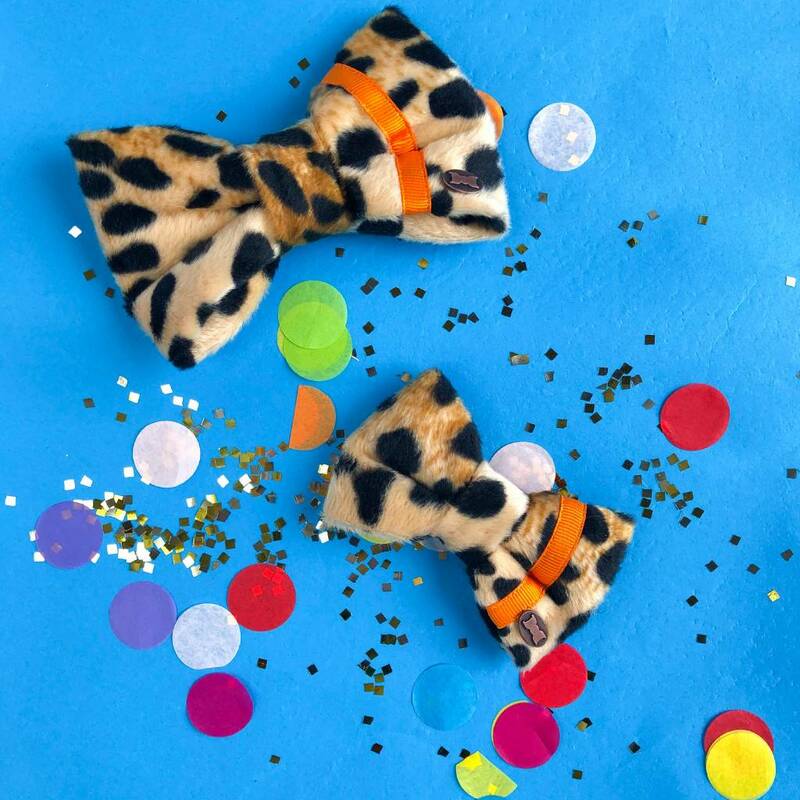 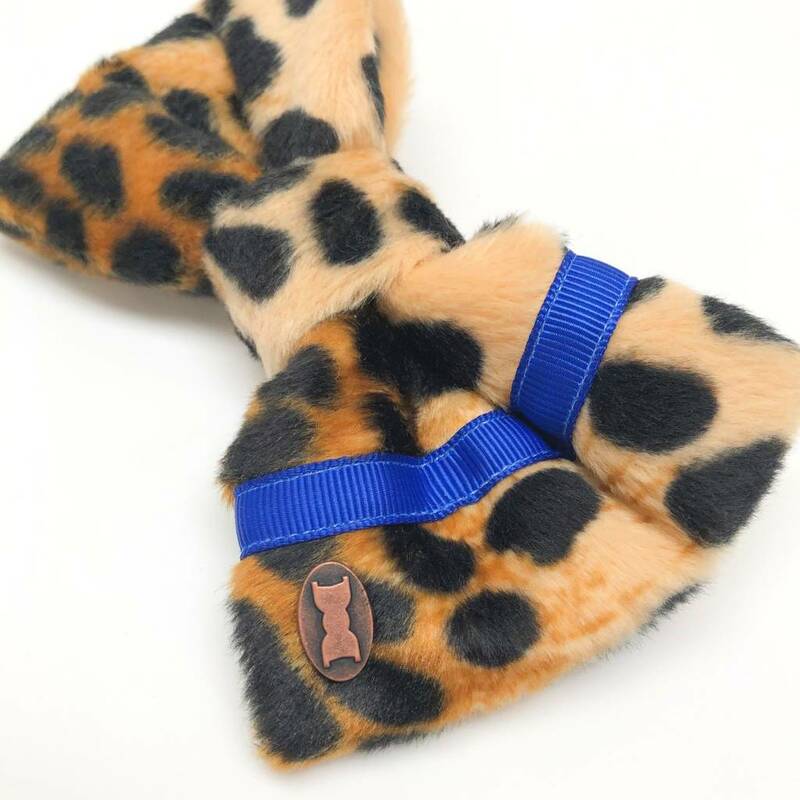 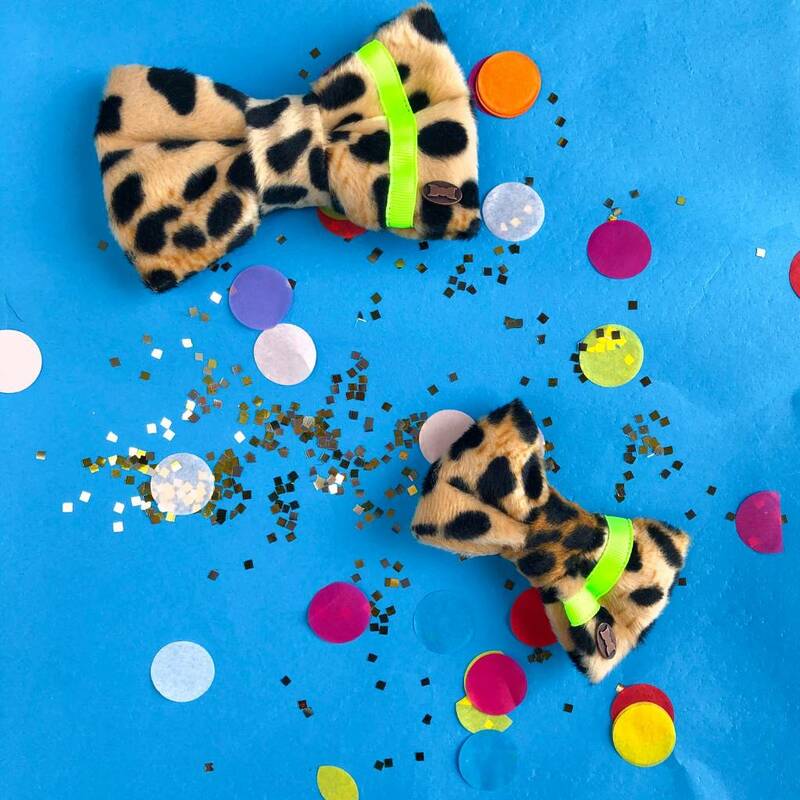 Not for the feint hearted, the leopard print and neon bow tie collection is inspired by the massive trend for animal print right now. 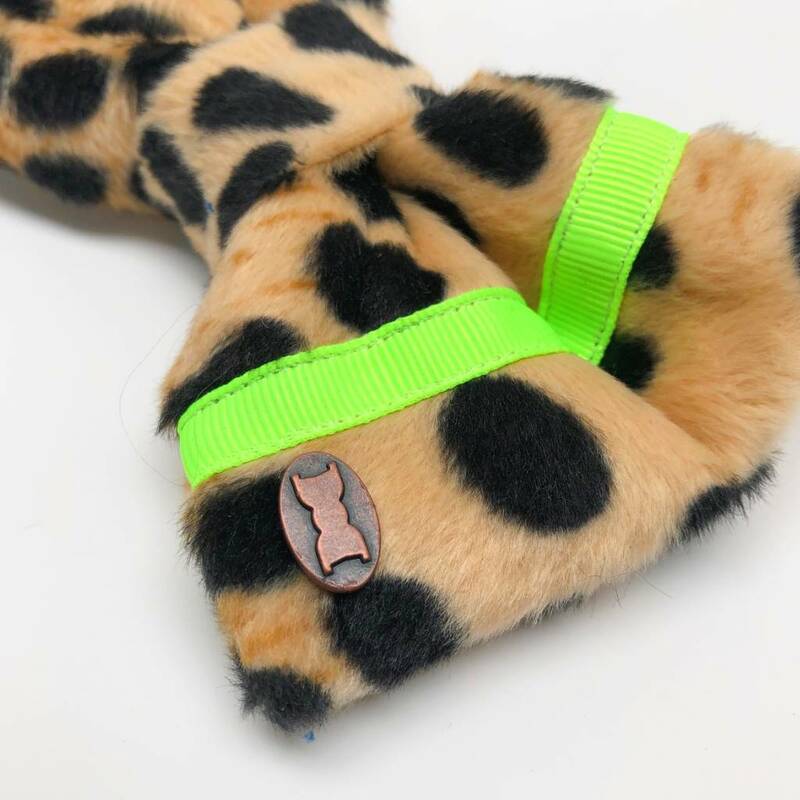 The leopard print is velboa fabric that provides a great texture as well as looking incredible. 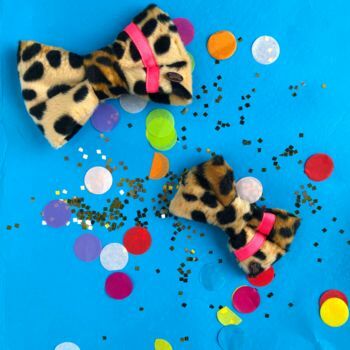 Finished with a neon ribbon colour of your choice, these bow ties are party pieces designed to stand out. 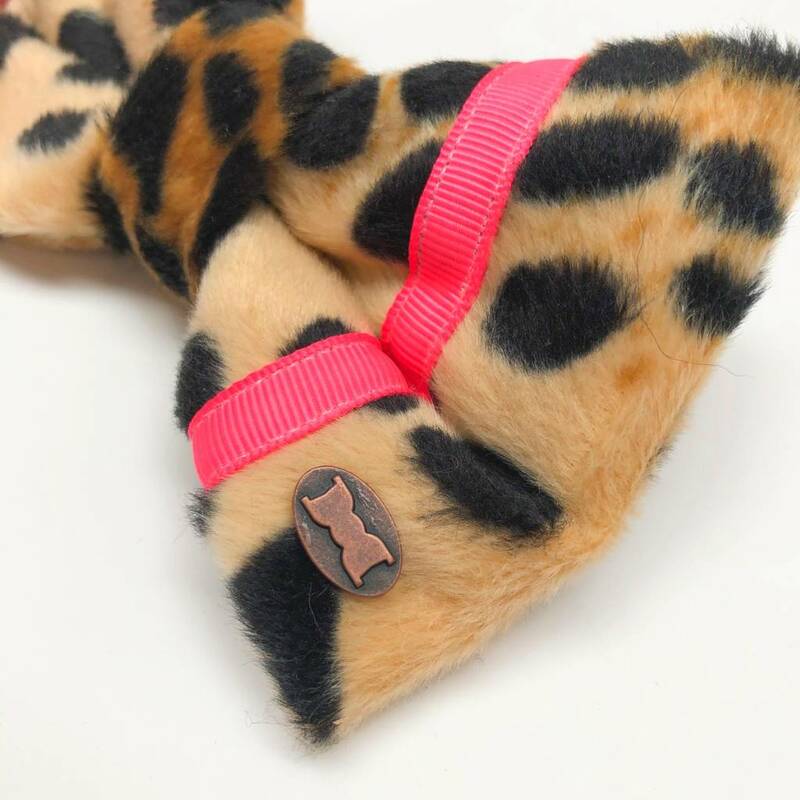 Comes in it's own box so makes the perfect gift and keeps it safe when it's not adorning a dapper dogs’ collar...if they ever want to take it off. 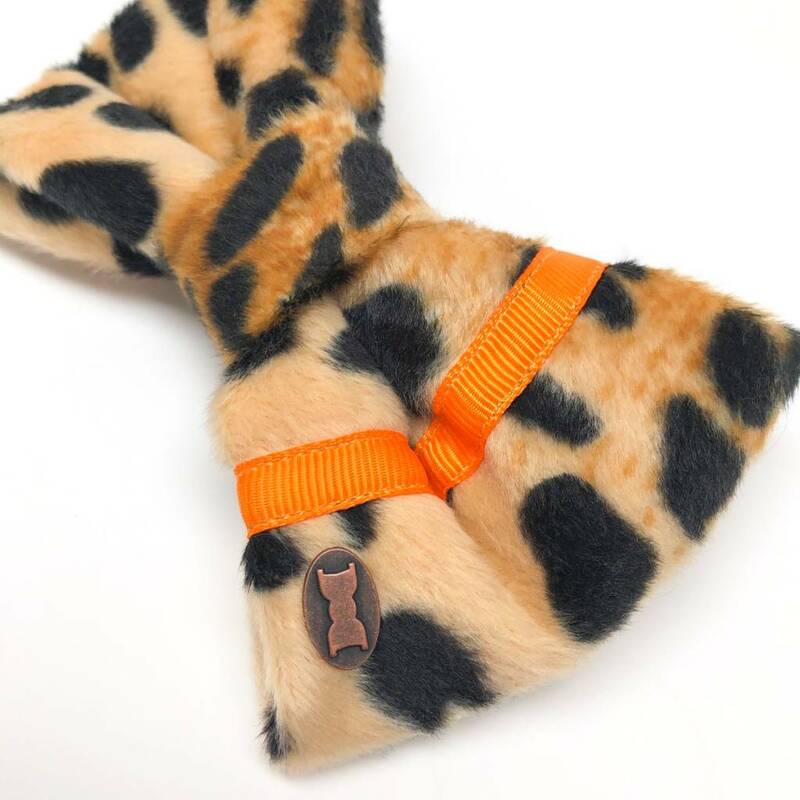 Velboa Leopard Print with grosgrain ribbon.